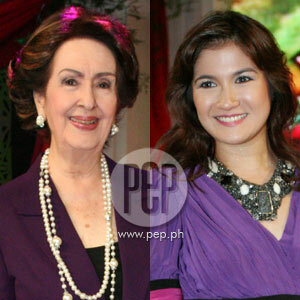 Gloria Romero (left) and Camille Prats (right) topbill GMA-7’s family drama titled Munting Heredera. 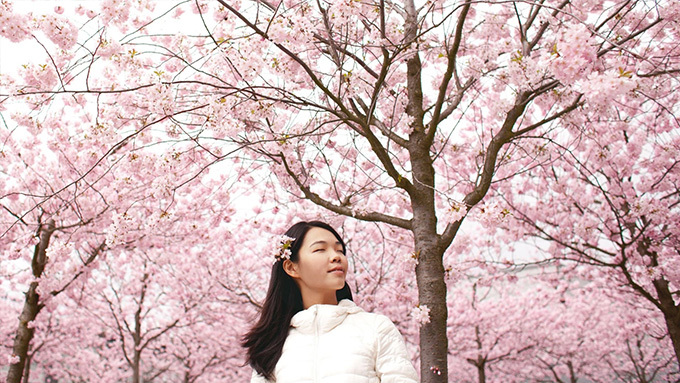 Ms. Gloria’s character is searching for her true heir while Camille’s character develops amnesia as the result of a tragic incident. Three young girls will be introduced as the lead stars of GMA-7’s upcoming family drama titled Munting Heredera. After a series of rigorous auditions, the three of them will have the chance to act opposite veteran actress and one of the the original Philippine movie queens, Ms. Gloria Romero. She will portray the lead character of Doña Anastacia, a widowed businesswoman who becomes rich because of her hard work. This marks the first time that Ms. Gloria will topbill a Kapuso teledrama. The award-winning actress has gained acclaim for movies such as Dalagang Ilocana (1954), Nagbabagang Luha (1988), Tanging Yaman (2000) and Magnifico (2003). This time, she will lend her acting expertise to this original drama series that aims to inculcate family values in a modern Filipino setting. Ms. Gloria revealed that her biggest challenges in this show include: "Yung changes of mood. Yung pagiging istrikta niya, galit. Tapos, magiging malambing na lola. And then there’s a part in this teleserye na maghihirap siya ulit kasi maraming nag-aambisyon ng aking kayamanan." Playing Jacob, Doña Anastacia’s only grandson, is Mark Anthony Fernandez. He is paired with Camille Prats, who is cast Jacob’s girlfriend. Her character’s name is Sandra but when she develops amnesia because of a tragic incident, she assumes a new identity: Susan. Camille says about her new TV show: "This is most likely my comeback in drama. So siyempre, I’m very honored and very excited, and at the same time kinakabahan sa pressure na nakapatong sa amin." GMA-7 initially wanted Carmina Villarroel to topbill this TV show but her loaded schedule made it difficult for her to do the part. Camille says that it’s not a "big deal" for her even though she was not the first choice for this role. Katrina Halili is also part of this series as Lynette, an ambitious former entertainer who has a relationship with Jacob (Mark Anthony); Luz Valdez as Marya, Doña Ana’s best friend and executive assistant; Gabby Eigenmann as Desmond, Claire’s husband and Jacob’s unproductive cousin; Leandro Baldemor as Philip, a doctor who becomes Lynette’s lover; Ynez Veneracion as Claire, Desmond’s manipulative wife; and Neil Ryan Sese as Simeon, a man secretly in love with Sandra. Kapuso tween stars are also part of this series: Krystal Reyes plays Gemma, Lupita’s deprived but hardworking scholar; Kristoffer Martin plays TJ, Rachel’s co-scholar and love interest; and Joyce Ching as Kyla, Desmond and Claire’s arrogant daughter. Asian Television Awards Best Actor and former child star Roderick Paulate takes on the important role of Manny, a closet homosexual math teacher whose yearning for a child will push him to adopt a child. Munting Heredera will introduce GMA-7’s newest young discoveries: Barbara Miguel as Calila, Kyle Daniel Ocampo as Michelle, and Mona Louise Reyes as Jennifer. One of them will claim to be the heir to Doña Anastacia’s wealth. Born with the proverbial silver spoon in her mouth, she grows up to be as arrogant and selfish as her mother, whose manipulative ways manages to deceive everyone in their family. Another will grow up wanting and lacking many material things in life. Through an unexpected folding of events, she will be mistaken as the real daughter of Sandra (Camille Prats) and Jacob (Mark Anthony Fernandez), the biological parents of the missing heiress. Finally, the true "munting heredera" is raised in the humble yet loving arms of her adoptive parent. She lived the first few years of her life completely unaware of her true identity, and the vast fortune that awaits her. Directed by Maryo J. delos Reyes and written by Agnes Gagelonia-Uligan, Munting Heredera shows how a family once torn apart by pride, selfishness and greed can still be restored by love, forgiveness and faith. Munting Heredera will replace Dwarfina starting May 9 on GMA Telebabad.